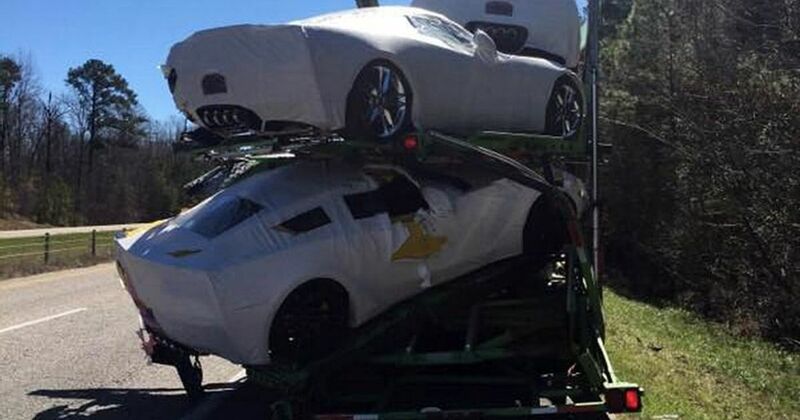 As jobs go, transporting a couple of hundred thousand dollars’ worth of sports cars gets you up close and personal to some really lovely metal, but it has its hazards, as one US truck driver has just discovered. 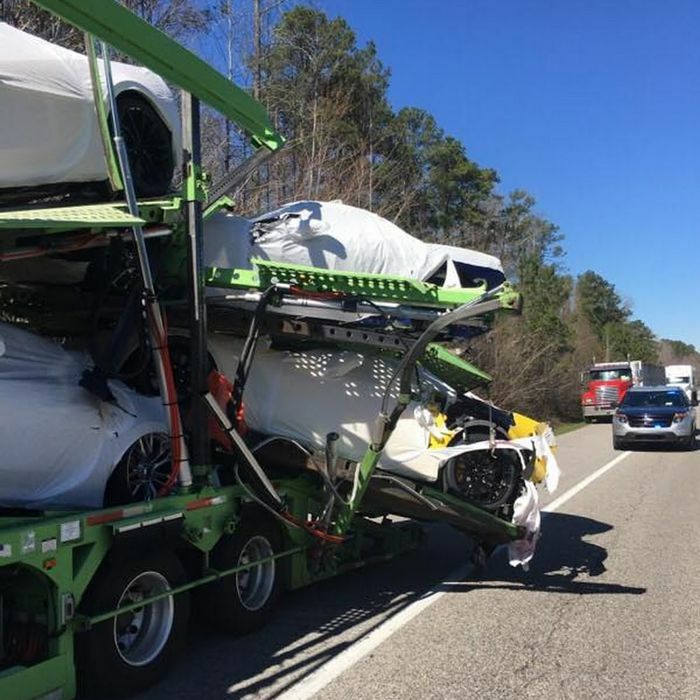 His trailer, loaded with brand new Corvettes including at least one Z06, was involved in a collision with a steel-sided HGV trailer on the freeway in Alabama yesterday. We’ve no idea how the bizarre-looking collision happened, but the end result is a nasty tear down the side of the dumper-style HGV trailer and at least three damaged Corvettes on the transporter. It’s possible that the two rubbed shoulders, but that wouldn’t explain the extent of the damage unless there was a big speed differential. The Corvettes, which cost £90,000 in the UK and around $80,000 in the US, are in bad shape. 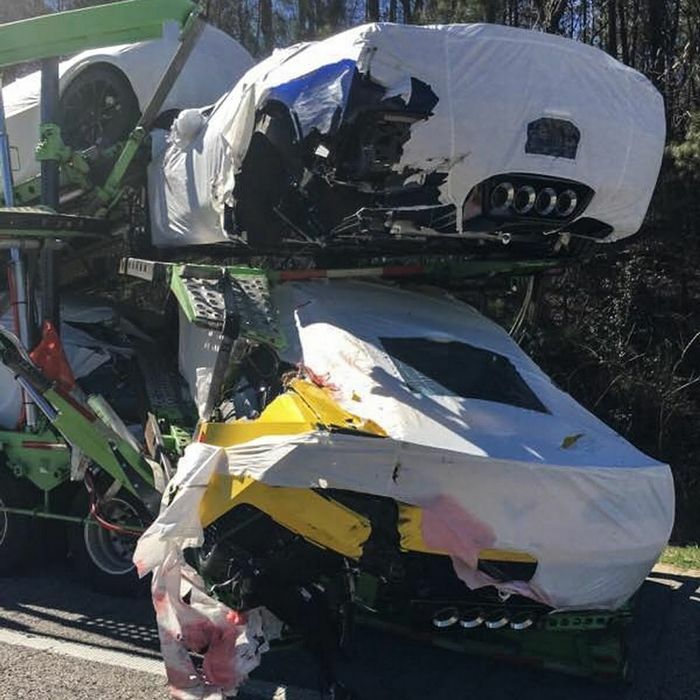 The two at the very back have been torn sideways, ripping the left-hand rear quarters to shreds and collapsing the back of the trailer’s structure, which has dropped the top car onto the yellow Z06 at the bottom. Ouch.